As the capital city of Mississippi, Jackson offers a little something for every interest. Soaked in history and culture, Jackson has become a destination for foodies, art and music lovers, tourists, and outdoor enthusiasts alike. Enjoy the best sights and sounds of the city with these 10 amazing activities. Home to over 200 species and 375 animals, the Jackson Zoo delights thousands of adults and kids alike each year. Opened for nearly 100 years and counting, the zoo continues to grow its exhibits and conservation efforts each year. Inside, the zoo is teeming with things to do, including a free splash pad and a pay-per-ride steam train and carousel. This massive museum is just as educational as it is fun. From aquariums and nature trails to seasonal exhibits, visitors get an inside look at Mississippi wildlife, heritage, and nature. The museum is tucked inside the LeFleur’s Bluff State Park, another attraction of its own right. It says Children in the name, but rest assured there’s plenty to delight adults who think they’ve seen it all. 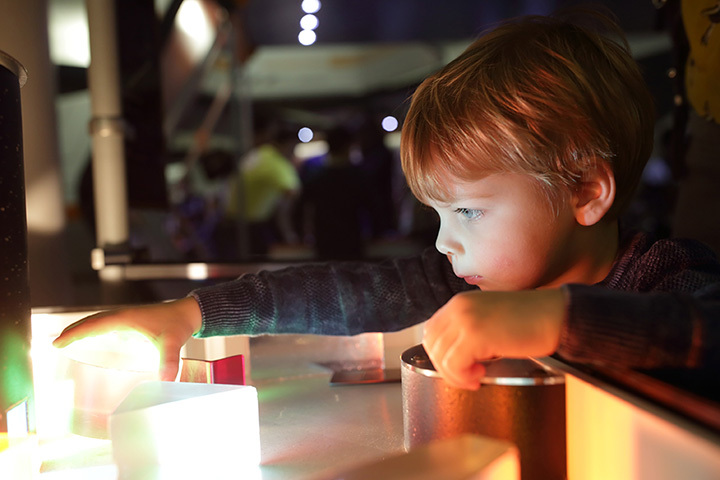 They’re serious about fun, offering tons of interactive exhibits, galleries, and play areas to spark creativity and imagination. It’s an enchanting, whimsical learning palace that your kids will be begging to visit again and again. This expansive scene of nature and wonder is a surprising gem in bustling Jackson. Lush landscapes offer fishing, camping, and hiking opportunities for those wishing to escape the concrete jungle for a bit. There’s also a nine-hole golf course and driving range on site, as well as a playground and disc golf course. A small admission fee grants you access to one of the most beautiful sights of the city. The meticulously crafted Mynelle Gardens are an idyllic place to walk, ponder, and experience. Enjoy the sounds and scenery of nature, find your inner Zen, and bask in this paradise off the beaten path. This neighborhood district is a mecca for shopping, dining, and entertainment. Featuring some of the best restaurants in the city and classy boutiques, the area is home to some of Jackson’s hippest events and concerts. It’s a hometown feel in the big city, and you’ll want to spend the day exploring and absorbing. Bringing the best outer space down to earth, the planetary shows here are other-worldly. Equal parts educational and entertaining, the planetarium is open to the public for laser shows and 4K screenings. The Planetarium is undergoing extensive renovations to make every show bigger and better than ever. Crazy Dash Tours have landed in Jackson. This isn’t your typical walking tour. Visitors are taken to 10 points of interest around the city, but there’s a catch: each journey requires you to complete a crazy task. Once you arrive, you must answer a trivia question to move on to your next destination. It’s crazy good fun, and it’s an experience you’ll never forget. One of the city’s premiere Blues lounges is the perfect place to unwind after a day exploring the city. Live music, cold drinks, and great food is everything you need for a night on the town. It’s a great place to soak up Jackson culture and cuisine, and the prices will make you eager to visit more than once. This vodka distillery is the oldest in the state and offers tours and tastings to sate your adventurous side. It’s a laid back, friendly haunt that’s educational and offbeat. Even if you don’t drink vodka, this is a unique experience you can’t find just anywhere, and it’s worth a look around.